The first mention of the Saint George Church is traced back to 1403, when the church received Easter candles as a gift from the Grand Master. In the 1470s the church was rebuilt nearly from scratch after the damage suffered during the Thirteen Years’ War. The building was severely damaged during the Swedish Deluge of 1658. 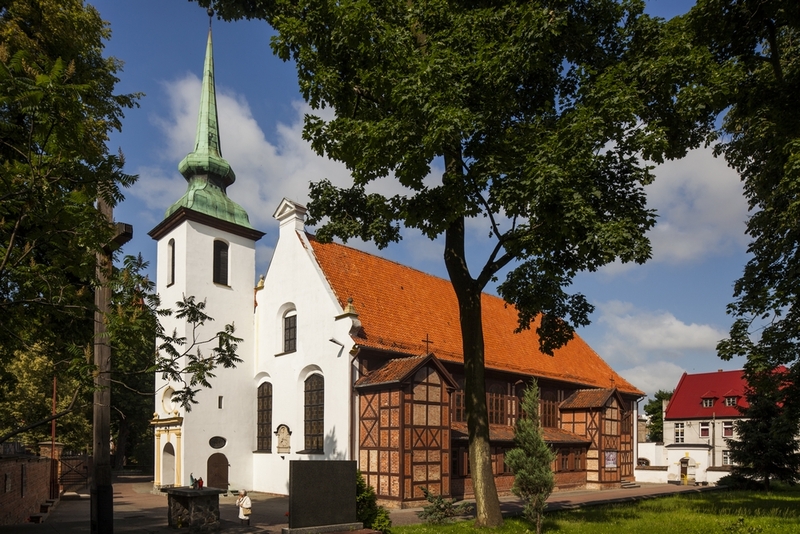 The church in its current shape was built in 1712–1714. 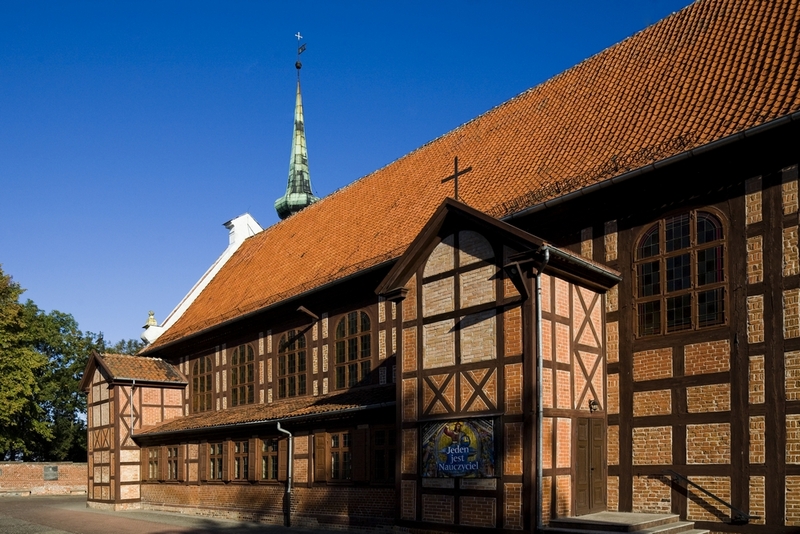 A half-timbered building except for the gable and the tower, with a wooden ceiling imitating brick groin vault. The interior of the three-nave hall equipped with benches and a choir loft for holding evangelical services.